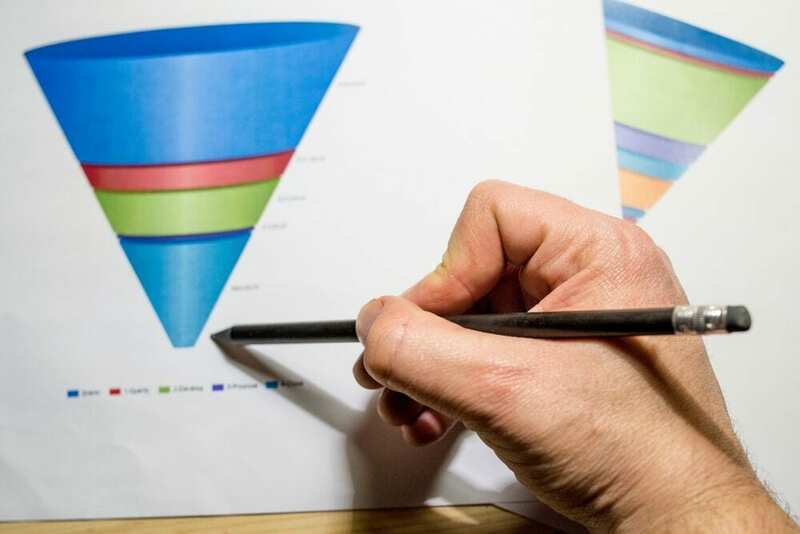 Home » Articles » How can you optimise your digital marketing strategy fit the sales funnel? The fact that organisations can measure and monitor each step of their marketing process is the most powerful thing about digital marketing channels. 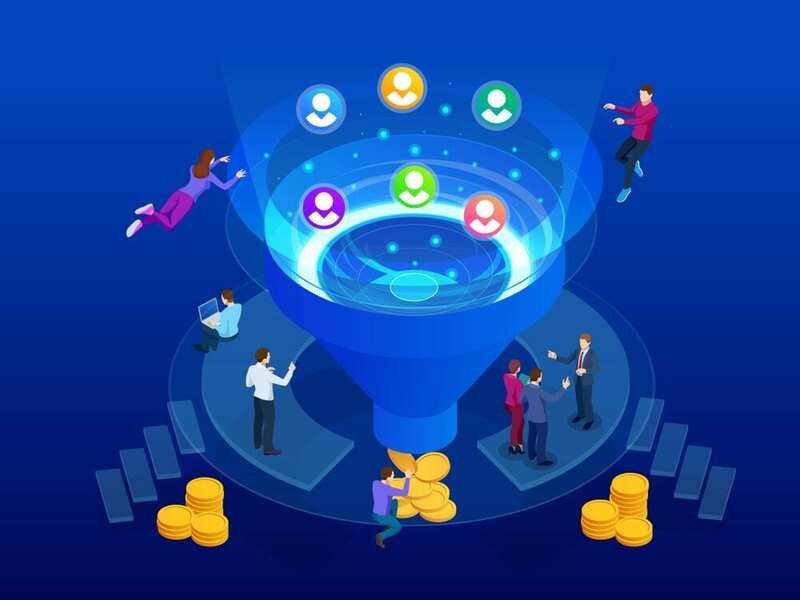 The digital marketing sales funnel assists you to effectively analyse just how good your customer conversion process is, from awareness to perception and then from engagement conversion to advocacy. In an online world grasping this funnel is an important part of creating a sustainable business. Understanding how to optimise your digital marketing sales strategy starts from creating awareness to interest, evaluation and finally engagement. So, with your newly learnt understanding of the digital marketing sales funnel you will want to find variations of social media marketing that are both in the top, middle and bottom of sales funnels. Even with our distracted social media users you can still manage to drive users to your website and convert them to sales. How does a digital sales marketing process work? Every marketing objective is to gain brand awareness and to ultimately convert their potential clients to paying customers. A digital marketing sales funnel allows you can capture the different points of entry of your target audience for a specific web page or social media post. Lead nurturing is a process whereby the end goal is to get your online visitors to move progressively towards ‘profitable’ action like an online purchase or even signing up for a newsletter. The goal is to become a valuable resource for solutions. Digital marketing is essentially all about getting in front of a potential customer and presenting a relevant message at a time they are most likely to make a purchase. No matter what your industry having an online/ecommerce presence is no longer a guarantee to win sales. Sound digital marketing is a ‘must’ have. To get going with your digital marketing sales funnel completing a ‘digital marketing sales funnel’ course is a must to build and optimise your online marketing campaigns. The role of your digital marketing sales funnel is to drive growth, create online awareness, retain customers and attract new ones. And SEO (search engine optimisation) plays a huge part to achieve this. Having a well-honed search engine optimisation (SEO) as well as a search engine marketing (SEM) strategy is vital to catch a potential customer’s attention. The four phases of the modern digital marketing sales funnel. Client online behaviour is constantly changing, so too should your digital marketing strategy. The ultimate goal for the first phase (awareness) of your digital marketing sales funnel is to encourage your audience to move to the ‘think’ stage, this is where the first consideration to purchase takes place. All social media channels, such as Facebook, Instagram, Pinterest and YouTube are a great way to create awareness for your brand. The second stage gets a little trickier. The ‘think’ stage is where the majority of consumers research takes place. It’s crucial to build confidence in your service or product at this important stage. The ‘do’ (purchase) stage of your digital marketing sales funnel should be closely followed by the post-purchase experience (care) stage to build solid customer loyalty, which ultimately increases revenue. Now, you’re ready to optimise your digital marketing sales strategy. If you are able to master this type of digital marketing sales funnel not only will you eliminate previous similar strategies that didn’t work, your sales will increase. To implement a successful digital marketing sales funnel just creating awareness is not enough – leads must be converted. Ensure your digital marketing content keeps your audience interested. But remember it doesn’t only count what message you get across but how you deliver it too. Merely reaching your target audience is the easy part. The hard part is to drive potential clients further down the ‘funnel’. 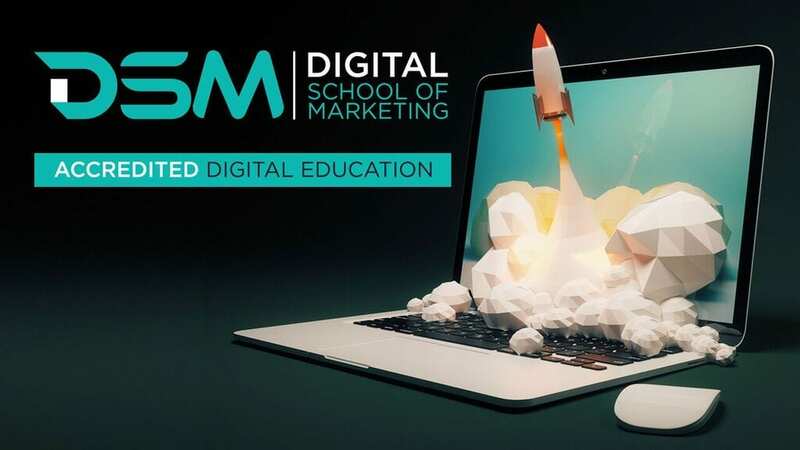 To learn more about how to optimise your sales funnel for conversion success on all digital marketing channels check out the Digital School of Marketing. Digital School of Marketing is endorsed by the CPD services body of the United Kingdom. Having your certificate endorsed will allow you to enter job market with ease and a stamp of approval and authentication for your marketing career.